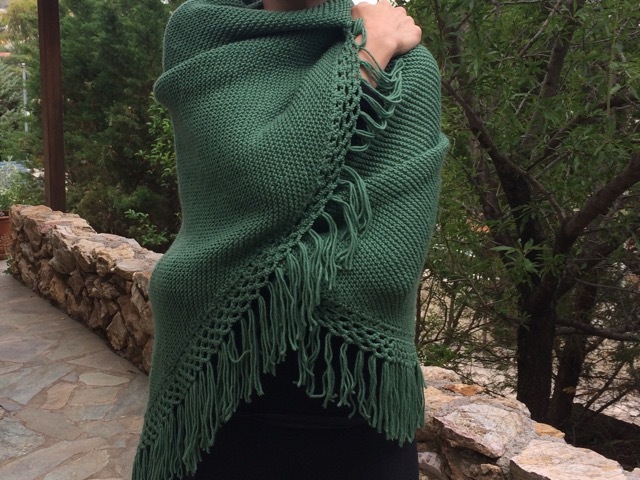 Loving the pattern of this shawl, I knitted a second one. Here is THE TUTORIAL. I did this one larger than the first one, I needed then 12 balls of the wool shawn HERE. The crochet border is slightly different. This is the easiest pattern possible : garstitch all along starting from one side corner, increasing every row and when the middle is reached, decreasing every row. The crochet border and the fringes are optional. So pleasant to knit watching TV!!! 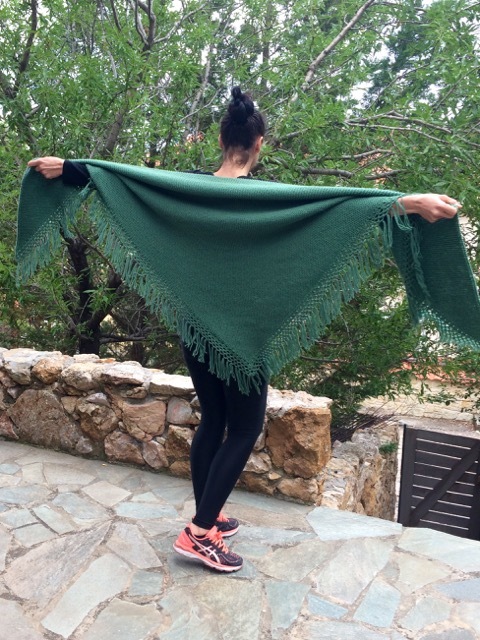 What a beautiful shawl! Could you share how you made the border? I've just spent some time catching up on your blog and how is it that I have missed so much!? I am so sad to hear you had such a rough time of it with a horrible injury but it looks as though you are recovering well. I do hope you are all mended and as good as new. 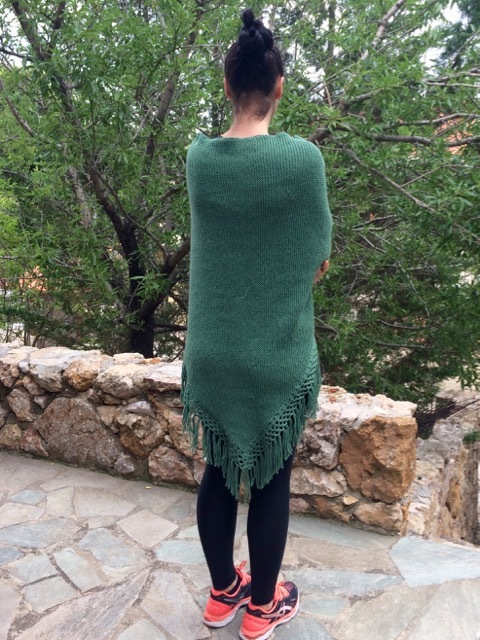 Your shawls make me want to learn to knit! They are both beautiful. Hugs and healing wishes to you. Magnifique ! J'adore la couleur aussi !